The Nuffield Orthopaedic Centre has been treating patients with bone and joint problems for more than 80 years and has a world-wide reputation for excellence in orthopaedics, rheumatology and rehabilitation. The hospital also undertakes specialist services such as the treatment of bone infection and bone tumours, limb reconstruction and the rehabilitation of those with limb amputation or complex neurological disabilities. 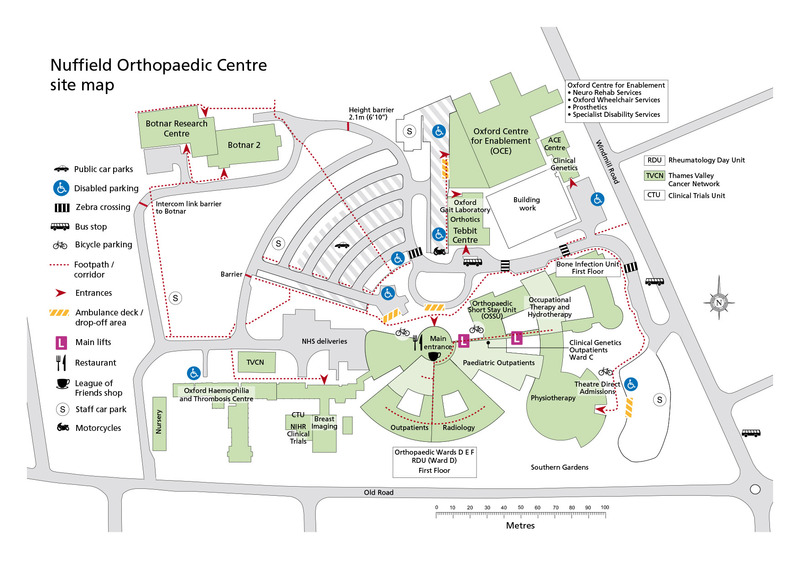 The Nuffield Orthopaedic Centre is supported by the NOC Appeal and Oxford Hospitals Charity.